We had mentioned some tips for cracking the BSEB Board exam here: HSC Study Tips to Crack HSC Exams. We had also shared Important Questions Bank for BSEB Examination 2016 and students have really appreciated it and showered us with love last year. 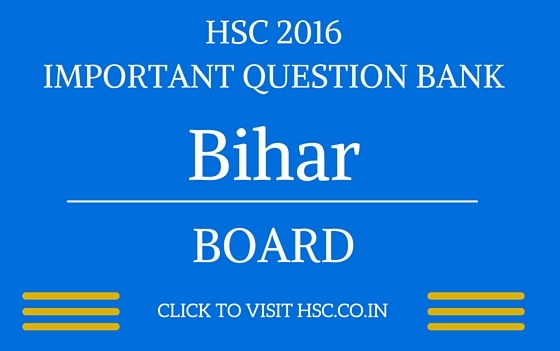 In this post, I’m sharing Important Questions Bank of the 2016 BSEB Exam of Bihar for important BSEB subjects. Let’s try to make this a two way exercise. While we gather the question banks, you might have some inputs on this too! Please use the comments box below and post questions that you think are important from your analysis. It would help the BSEB community a lot. exam ma ka likhab !